Addiction is a brutal chronic brain disease, but you can overcome it. Your treatment needs be both structured and customized. To ensure that you have the treatment that works for you and your unique situation, the treatment we employ at our drug rehab center must be based on your personal needs as well as the focused and comprehensive structure of our esteemed addiction treatment facility network. Read on to see how this template will be personalized to you, your condition, and your circumstances. When you first come to our drug rehab clinic, you will begin in our drug detox center for your withdrawal. While your body goes through the process of eliminating all the harmful chemical toxins that keep you dependent upon your drug of choice, you will go through some pretty unpleasant symptoms. We need to watch over your progress to make sure that you can get through this process as easily and comfortably as possible while seeing that it is effective and efficient. Then, once you are done with your detox, you will go through individual therapy sessions with a personal counselor. Here you will work together to make a customized addiction recovery program that will be comprehensively altered to continuously meet your needs as they change and evolve. You will vent your problems and be screened for a dual diagnosis mental health issue that nearly half of the people seeking treatment for addiction are struggling with. With the proper guidance and assistance, you can overcome this debilitating and destructive disease. Then, once you are done with your detox, you will go through individual therapy sessions with a personal counselor. 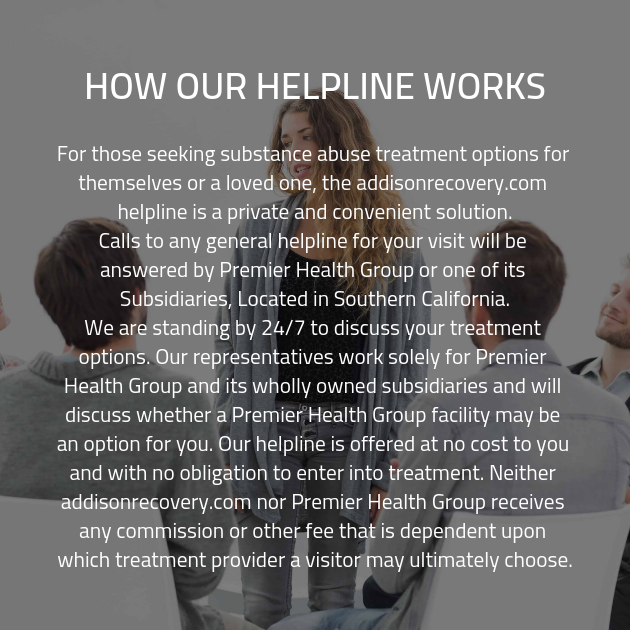 Here you will work together to make a customized addiction recovery program that will be comprehensively altered to continuously meet your needs as they change and evolve. You will vent your problems and be screened for a dual diagnosis mental health issue that nearly half of the people seeking treatment for addiction are struggling with. With the proper guidance and assistance, you can overcome this debilitating and destructive disease.